Another band I have been listening to as much as possible (Spring = album release fiesta) is The Bees. Straight outta the British Isles, this band quickly became every indie critic’s darling in 2002 with Sunshine Hit Me, which was reportedly recorded in lead singer, Paul Butler’s garden. The band gained praise for its eclectic sound and was nominated for a prestigious Mercury Award. Three years later, The Bees continue their genre-bending (ha!) resume with their third release, Octopus. The album kicks off with an exploration in bluegrass on the stellar “Who Cares What The Question Is?” and fall back into the ’60’s with the Allman Brothersesque “Love In The Harbor.” The journey continues on “Leftfoot Stepdown” (which eerily sounds as though it was taken from The Haunted Mansion ride at Disney World) and reaches its peak on “Got To Let Go”. The jazz-influenced track (no, I don’t mean the so-called “jazz” that my dad, dentist, pharmacist and elevator musician enjoy) catches the listeners ear with the under-used electric organ (not to be confused with the pipe organ) and a horn section that steals the show on the chorus. The album only falters on the final track, “End Of The Street”, which sounds like a drunk teenager got a hold of a sound effects closet and had to try each sound three times to make sure they worked (or didn’t in this case). With only 10 songs on the album, The Bees either make a bold statement or just don’t care what listeners think. By refusing to be pigeon-holed by one sound, the result is the former. 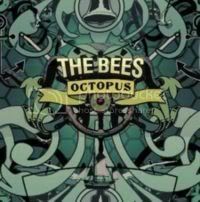 The Bees prove the theory of “quitting while you’re ahead” and successfully achieve in making a concise and eclectic album.